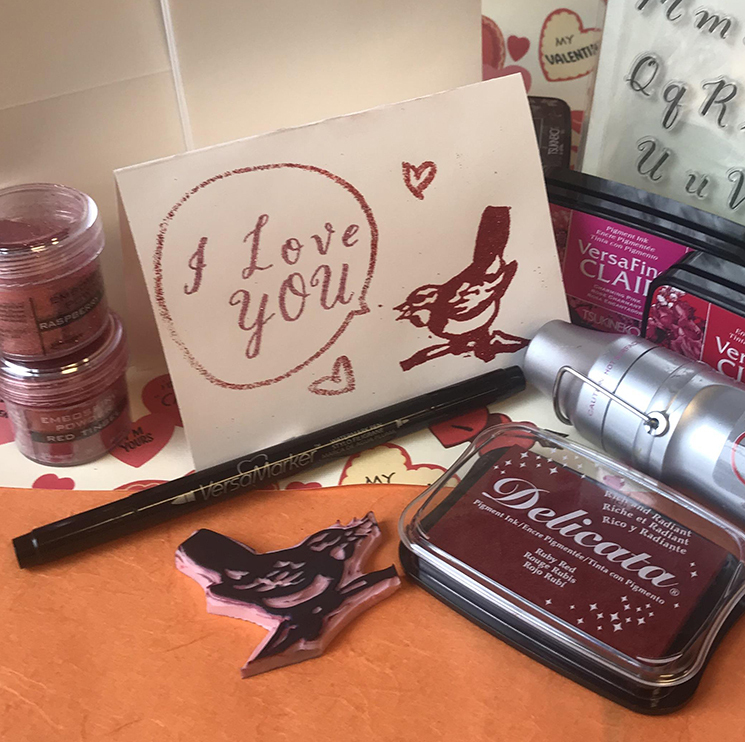 collagepdx: DIY - Easy Embossed Valentines! 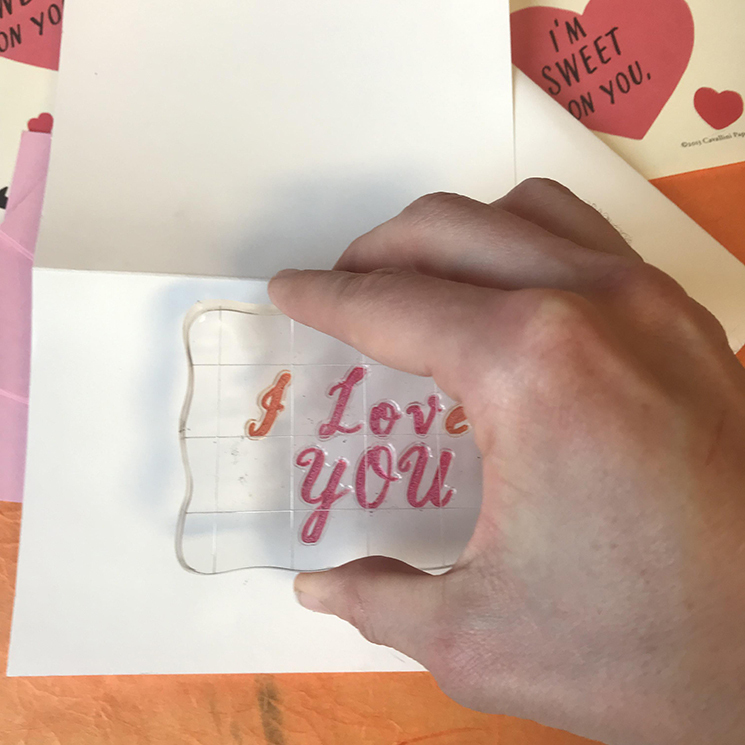 DIY - Easy Embossed Valentines! Valentine's day is less than one month away! We love any excuse to celebrate the ones that we love the most - whether it be romantic, friendship, or familial. 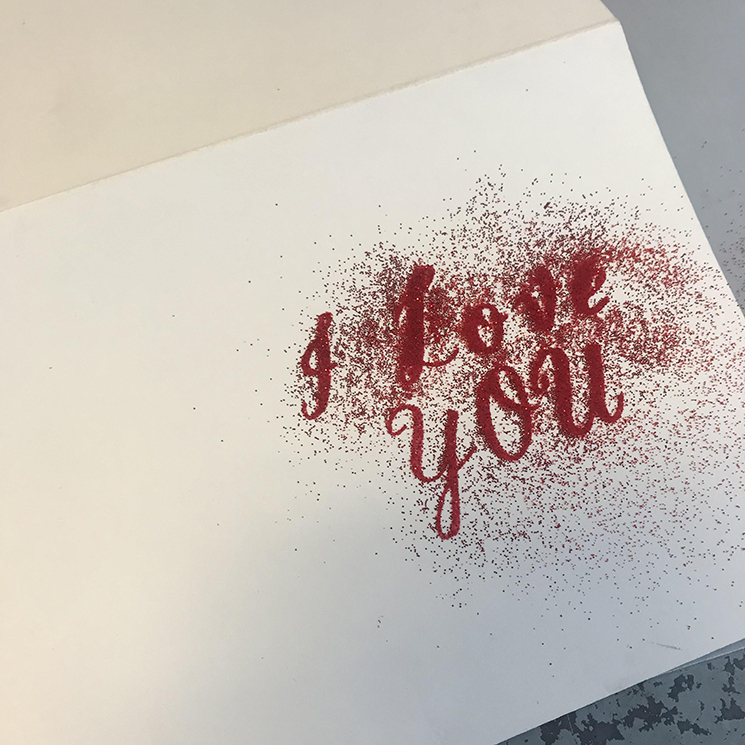 This year, we've decided to take our Valentine's to the next level using sparkling tinsel embossing powder! 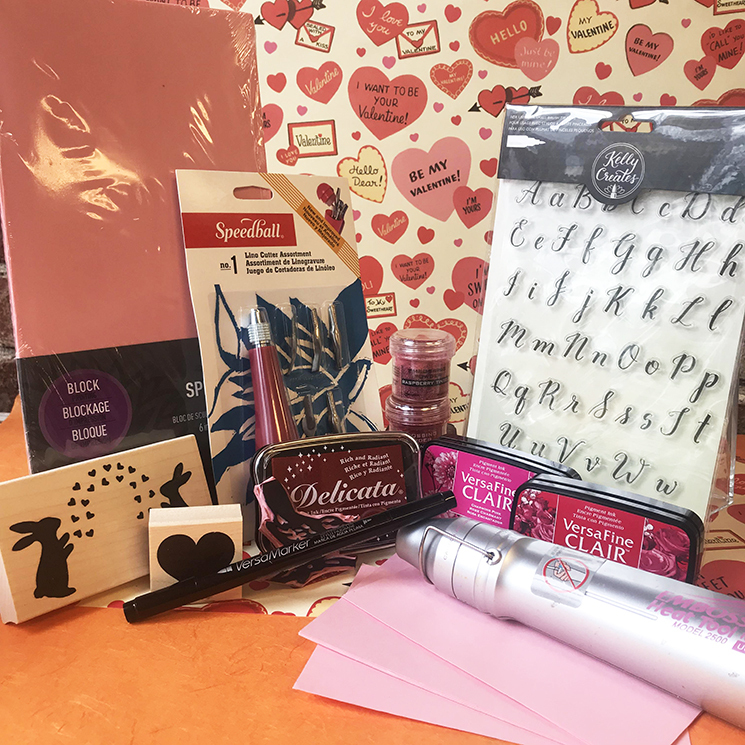 Embossing is easy, fun, addictive, and great for all ages! Read on to learn how you can harness the power of embossing. We started out by placing our words on the clear stamp block. Clear stamps are a great way to make custom word stamps that you can use over and over. The letters adhere to the stamp block. When you clean and take care of your clear stamps properly, you can re-use them for years and years. Keep in mind to place your message backwards, as it will print forwards! 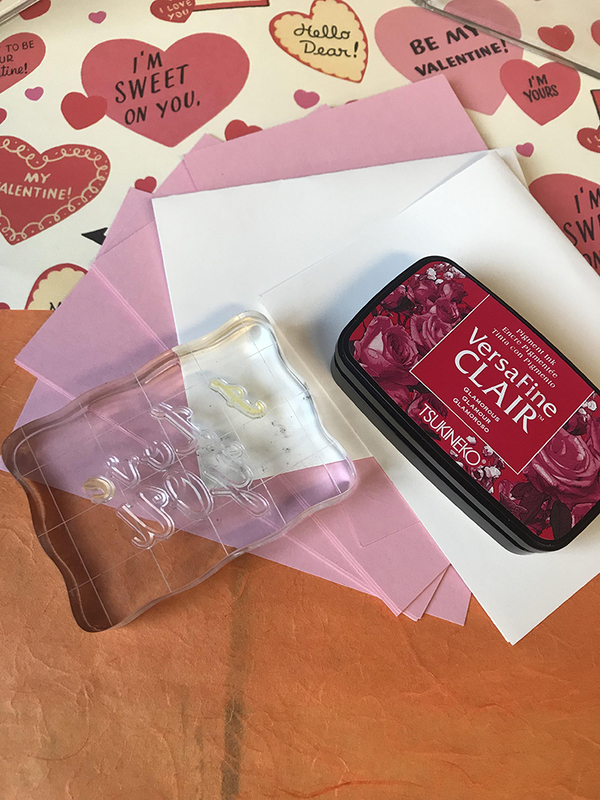 We inked our clear stamp thoroughly with Versafine Clair, a fabulous ink pad for fine - detail. Stamp your message, pressing firmly to get an even impression. 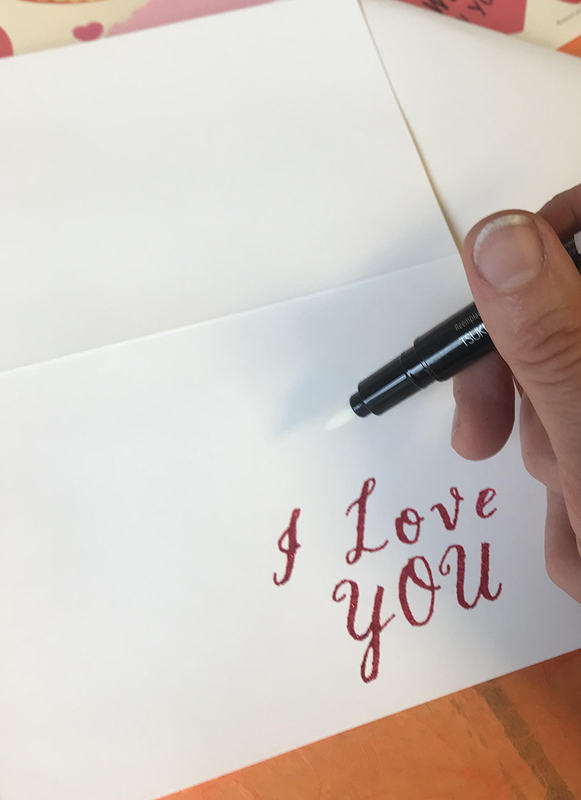 Acting quickly, your next step is to cover your stamped image (while it's still wet) with a generous amount of embossing powder. Pro tip - keep a scrap piece of paper underneath. Tap off excess powder and set aside before going on to the next step. Now for the truly magical moment - embossing your image! Plug in your heat gun and hold it a couple inches away from the card. Move it around above the powdered area. The heat will begin to transform the powder into a raised, shiny coating. Take care not to burn yourself - let the surface cool for 30 seconds before touching. Pro tip: many people wonder if this can be done with a hair dryer - the answer is no. A hair dryer does not get hot enough and will make a big mess. There are many ways to emboss! 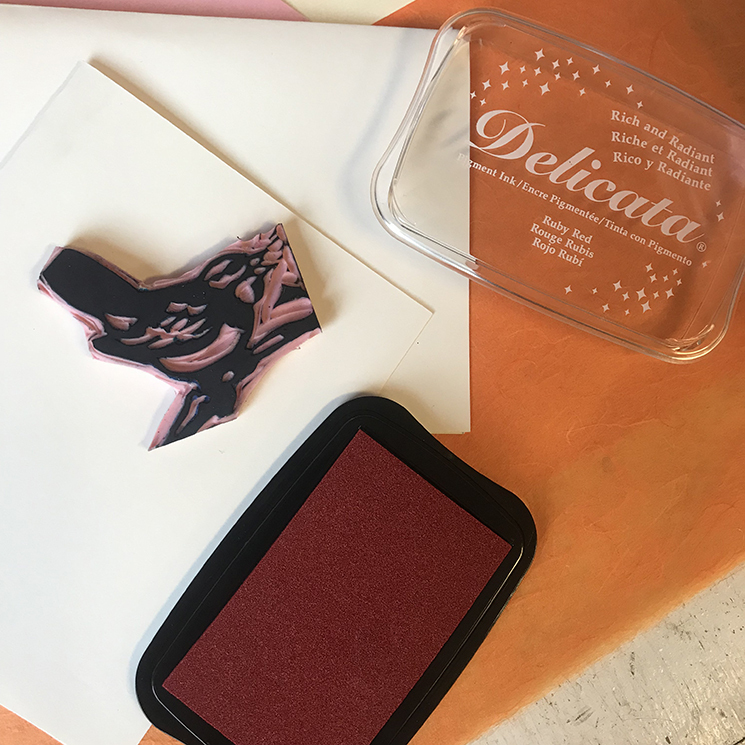 We used the thick Delicata pigment ink with a hand-cut linoleum stamp with fantastic results. 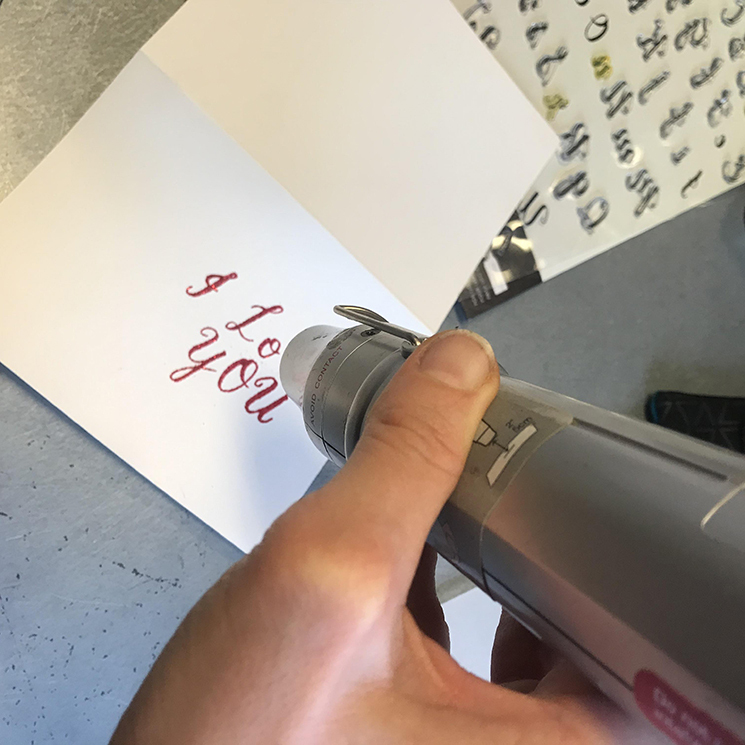 The Versamark double tipped pen is a clear pen used for embossing - meaning that no color will interfere with the color of your embossing powder. Versamark also makes a clear ink pad for this purpose! Have fun making your Valentines!